Are you thining about organising a party? Or a function may be? You want a party (don’t we all) but are put off by the organisation. It can be quite tedious and time consuming putting together the list and keeping track of the replies. This app eases part of the organizational pain by making it simple and quick to put together an invitation list and send invitation to your friends. Most, and quite possibly all, of your friends (and especially those whom you want to invite to your party or function) are on your phone address book. This app taps into the contact information in the address book to enable you to put together the list as painlessly and as quickly as possible. You can easily invite them on your phone (via email or SMS). You can keep track of whether they have replied and whether they are coming. You can send them reminders. You can enjoy the party, not trying to organise one. Import from an existing text list (via cut and paste) - for those who have a text list on hand (e.g. you may have started to type one out on your computer or someone have sent you a list), this can be a very quick way to enter the names. Just paste the list into the app. The app will extract the name and even the email address and mobile / cell number. Send email or SMS (iPhone only) to guests that have accepted invitation. 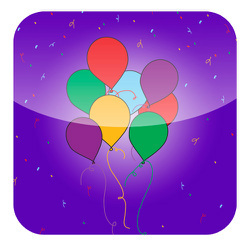 This enables you to send reminder or party information to guests that are attending your party. Create a master invitation list. This list contains the contact details, whether the guest is coming or not, whether invitation has been sent or not. You can email this list to yourself. This list is also available in a spreadsheet friendly format.